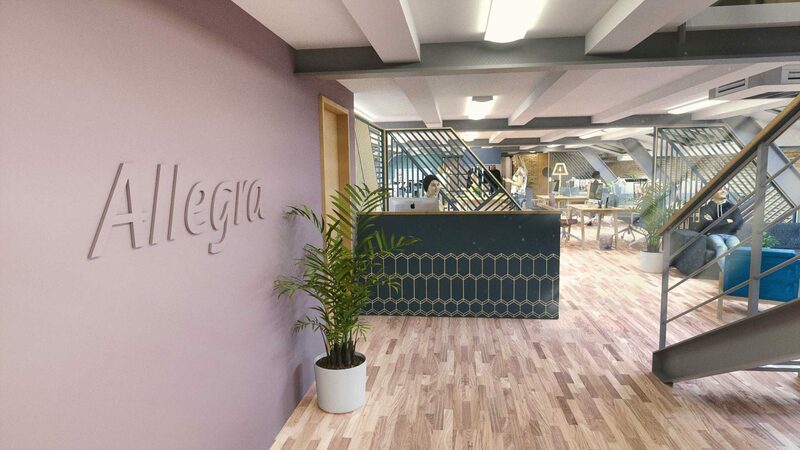 The office interior design for Allegra needed some careful space planning. 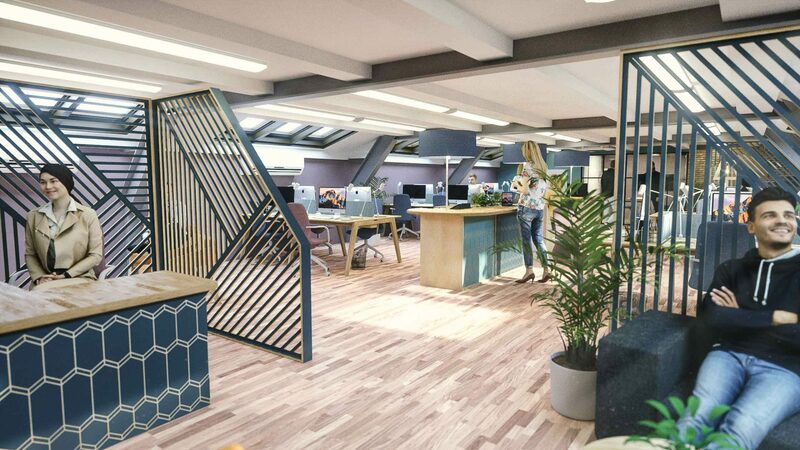 The workspace is long with partially sloping ceilings and needed to be divided into several areas with different functions. 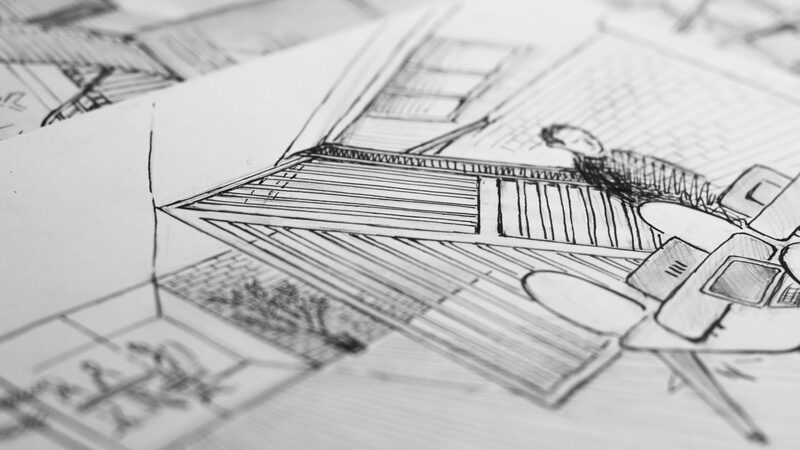 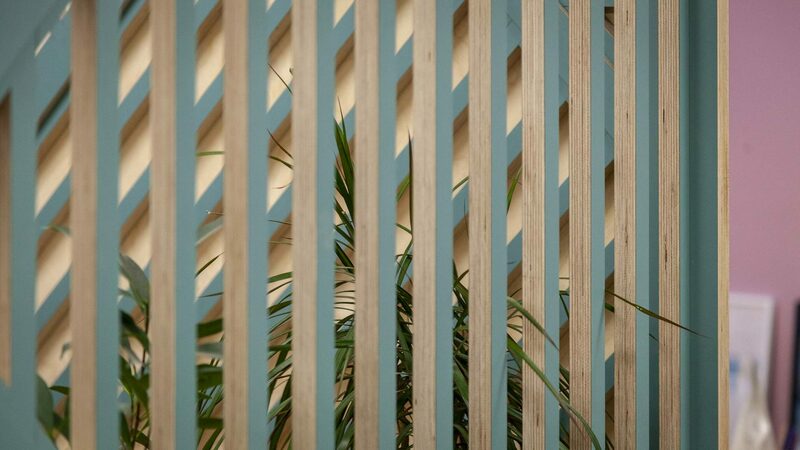 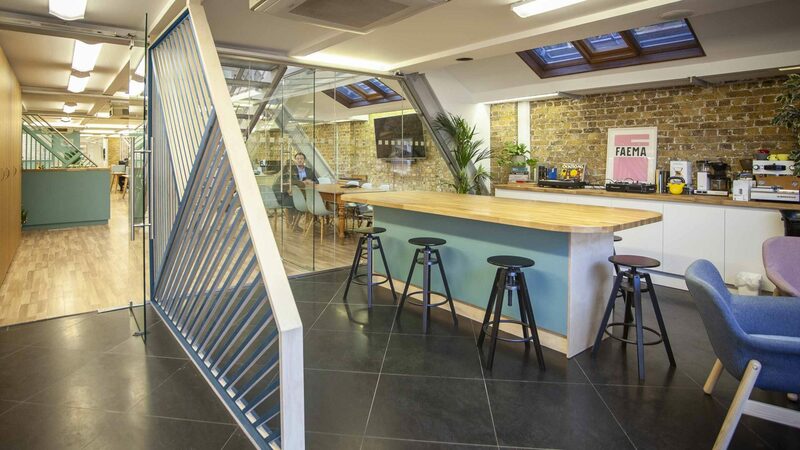 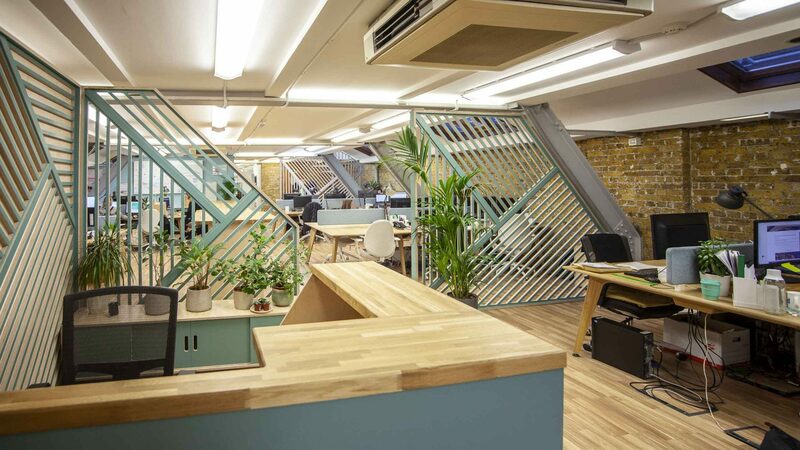 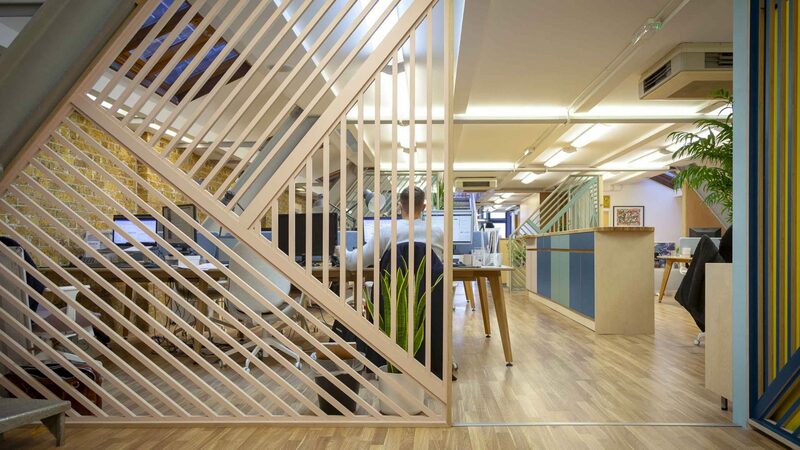 To break up the office interior open slatted dividers were created that follow the lines of the roof and the steel beams that jut out into the room. 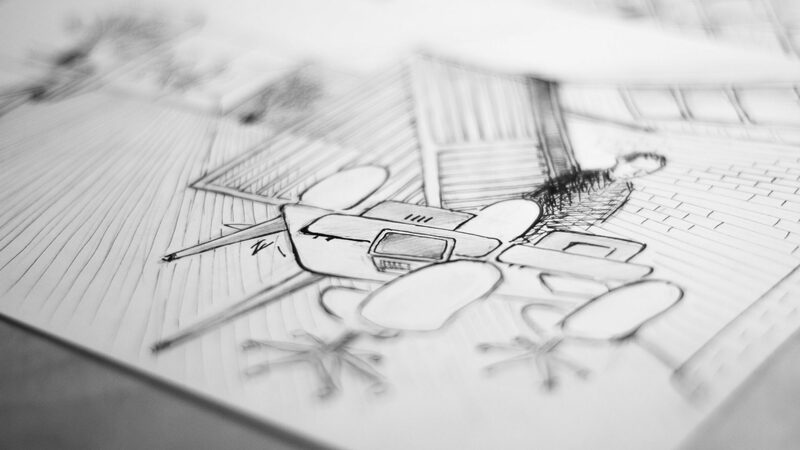 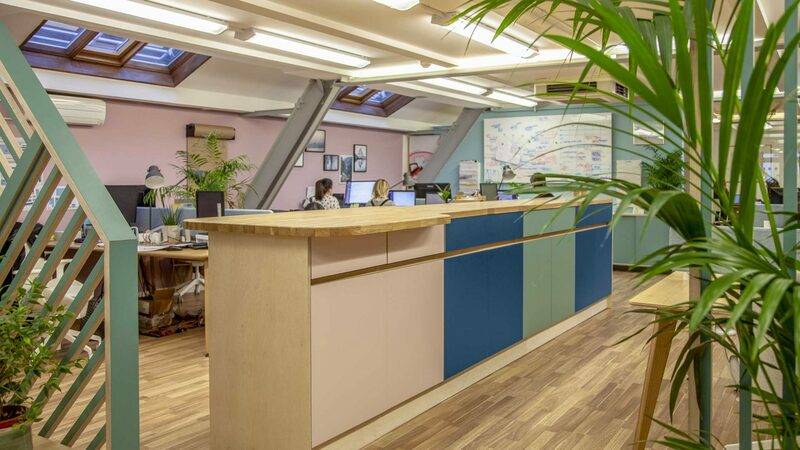 This helps to define the different areas of the workspace design whilst still maintaining a light, airy and roomy feel to the overall space. 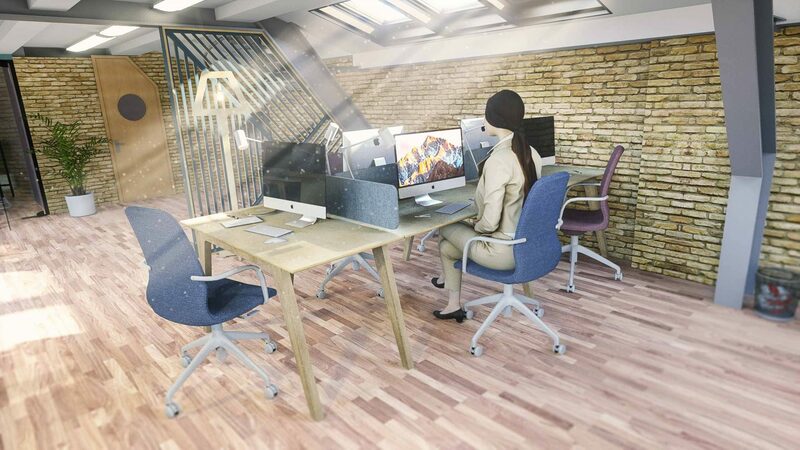 Glass fronted meeting rooms were placed at the far end of the office interior, offering privacy whilst providing a view of the main office. 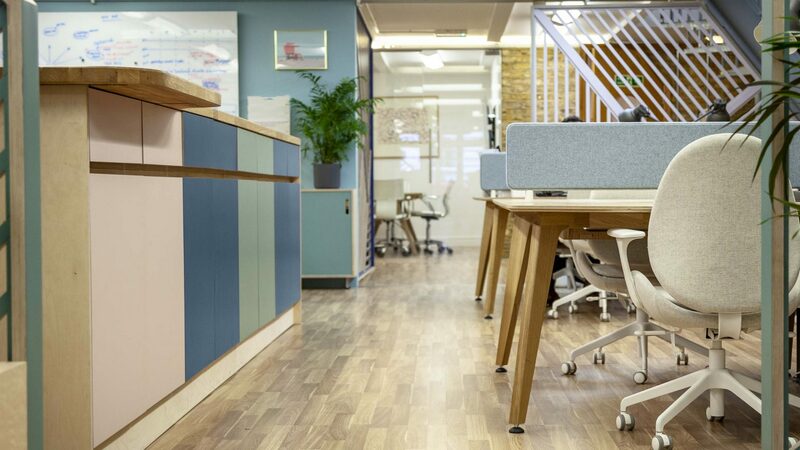 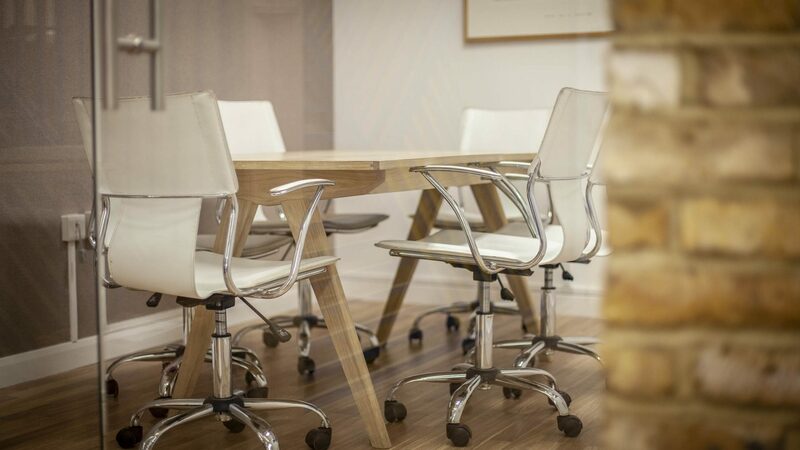 In the central area we installed our Theodore Bench Desk System, which is constructed using sustainably sourced Oak frames and Birch ply Oak veneered tops. 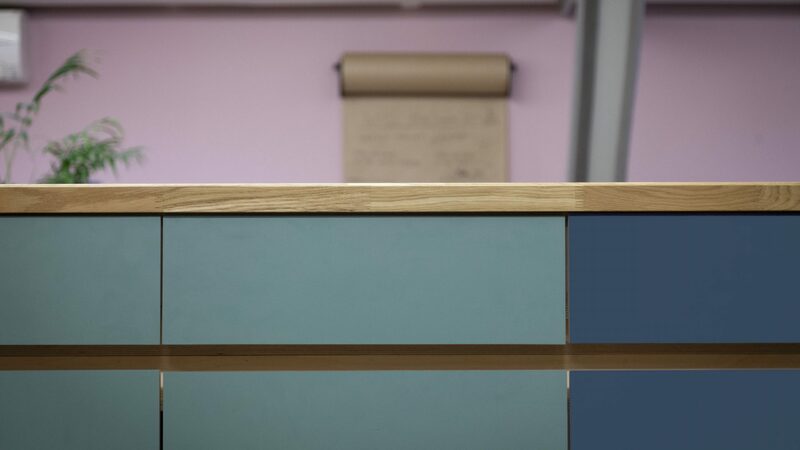 As well as having an integrated cable management system, the desk system also offers a variety of configurations which allowed us to maximise the number of desk spaces. 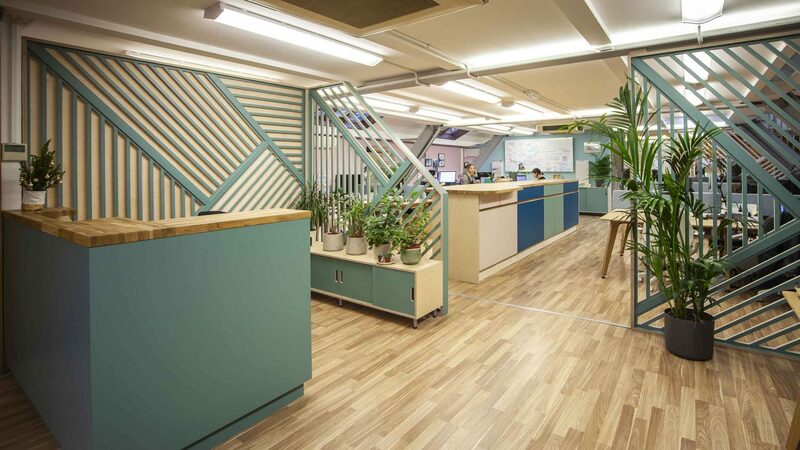 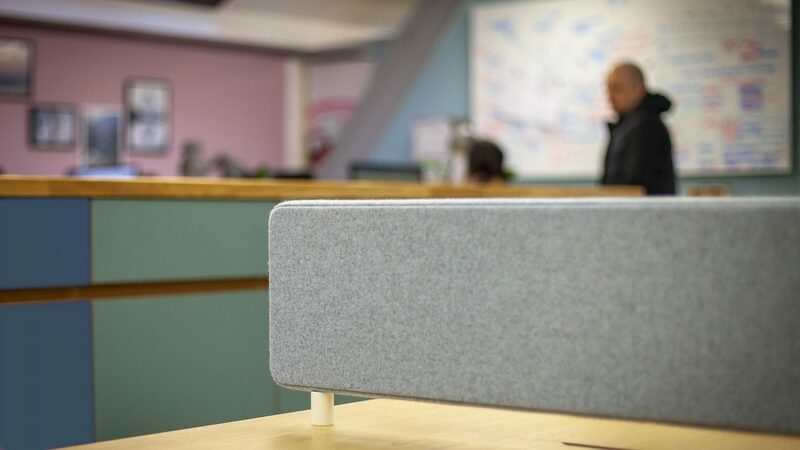 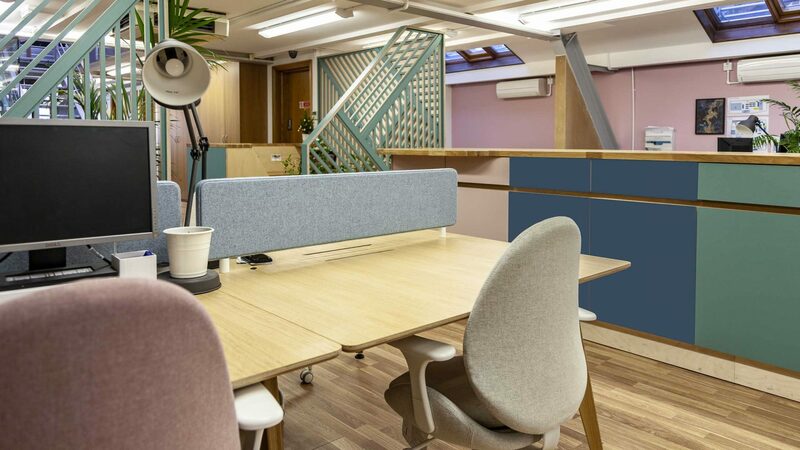 It was designed in our studio and manufactured at our workshop, before being delivered to site and installed by our fit-out team – an example of our full workspace solutions service. 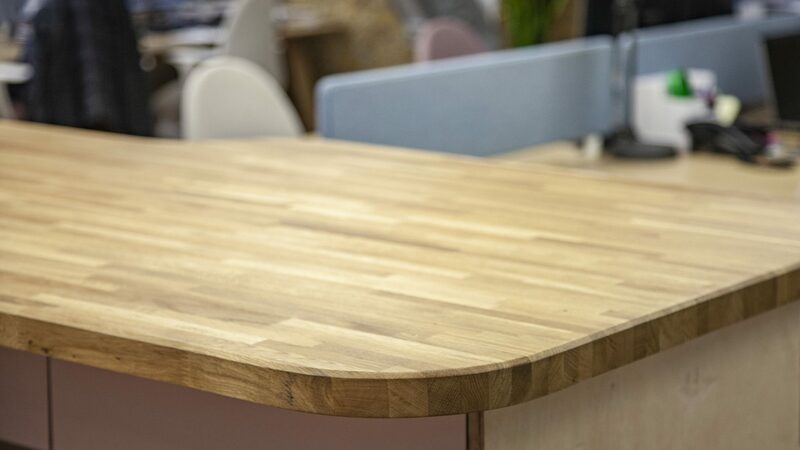 "Efficient space planning complimented by an intelligent desk system"
The desk area is divided down the centre with a long, counter height storage unit that also serves as the ideal space for ad hoc discussions when plans and paperwork need to be laid out. 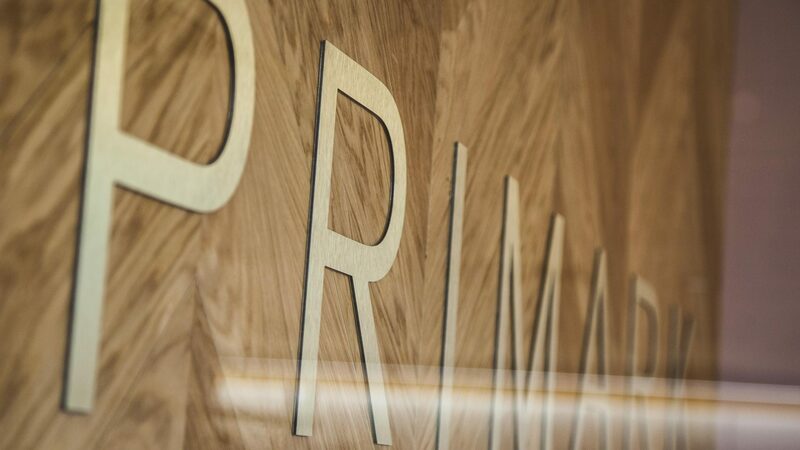 Towards the front of the interior we designed an entrance area with a bespoke reception desk. 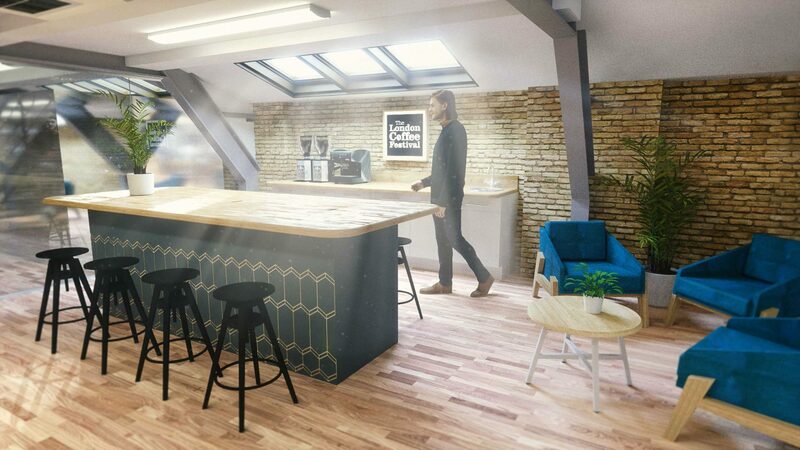 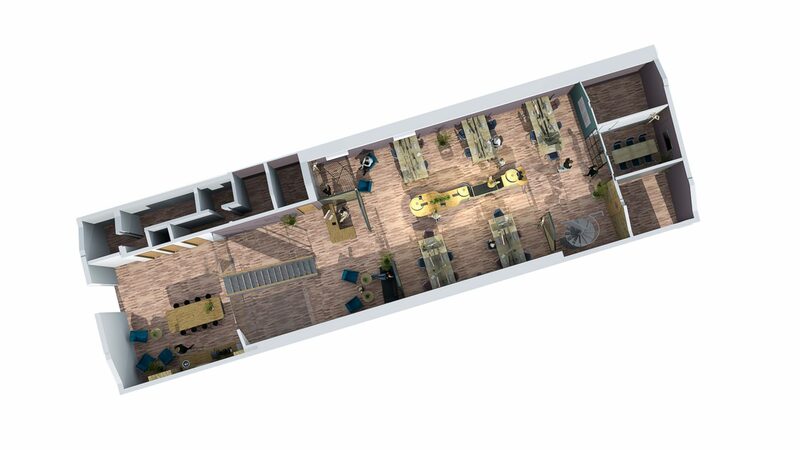 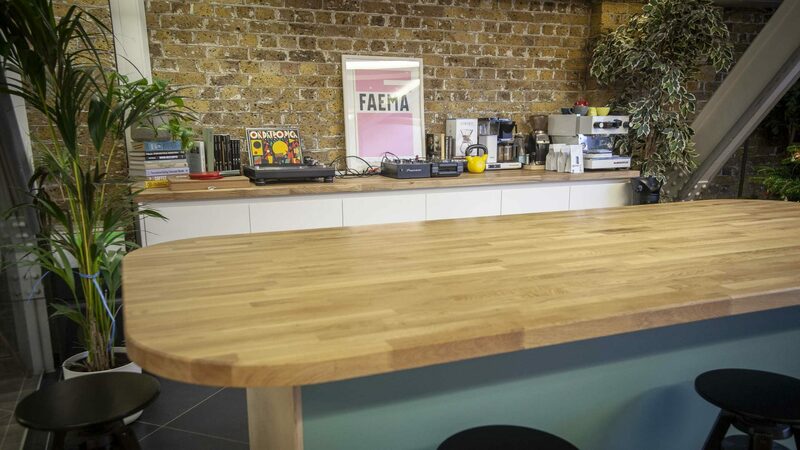 There’s also a separate kitchen space with seating which is suitable for impromptu meetings as well as doubling up as a set for coffee machine demonstration videos. 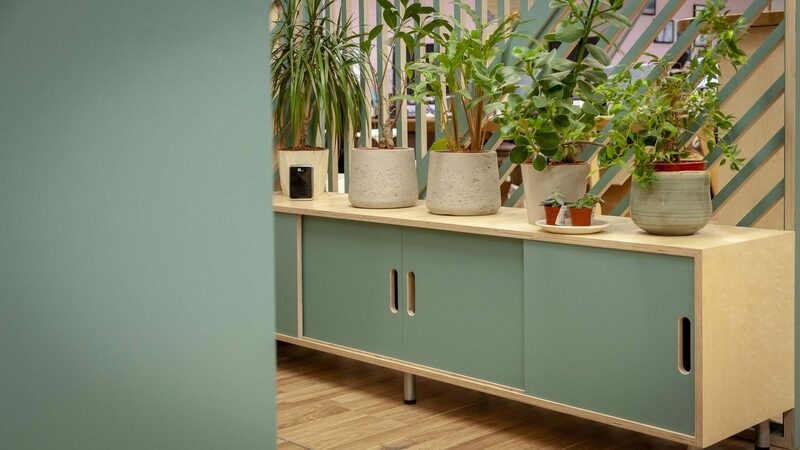 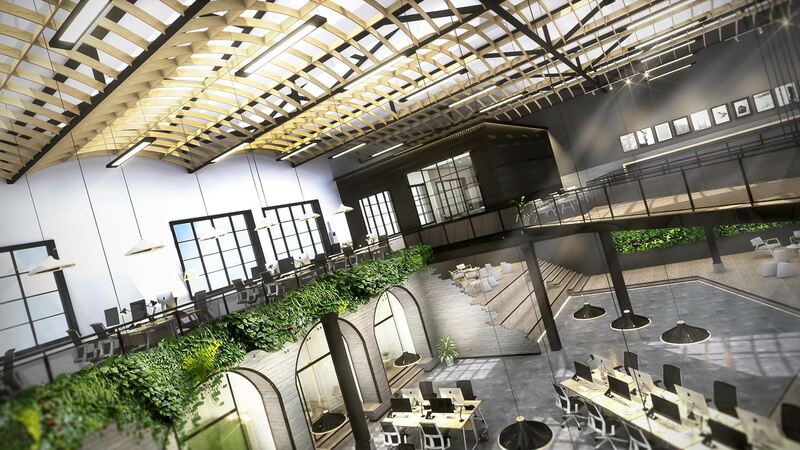 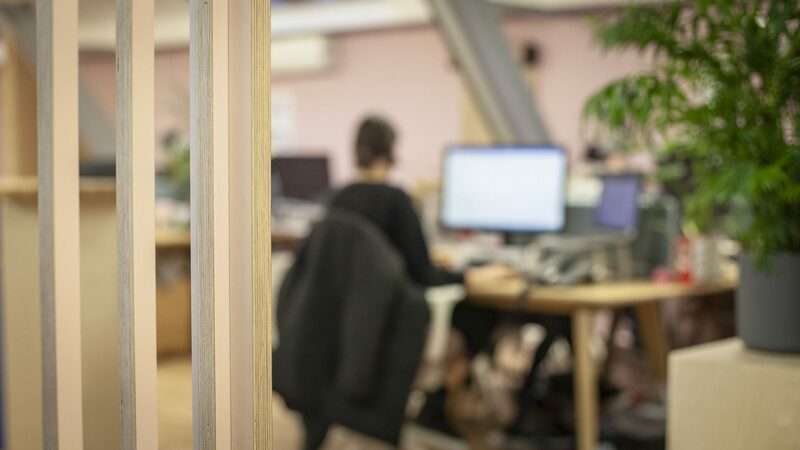 With ‘wellness in the workplace’ in mind we have also ensured that there is plenty of room for greenery to be integrated throughout the interior. 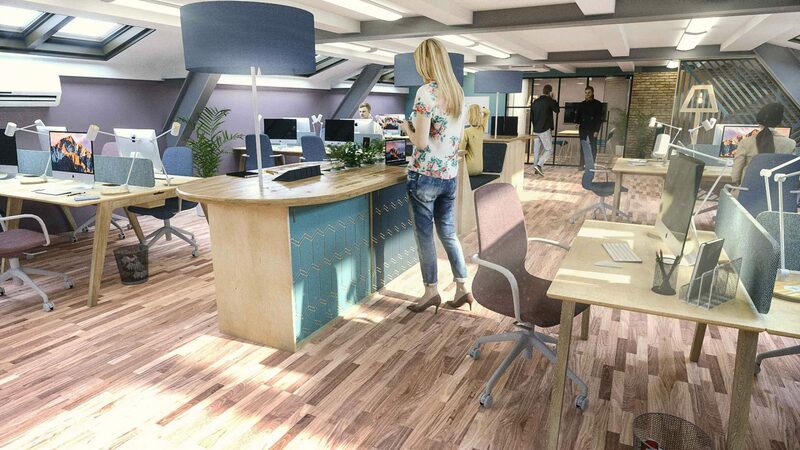 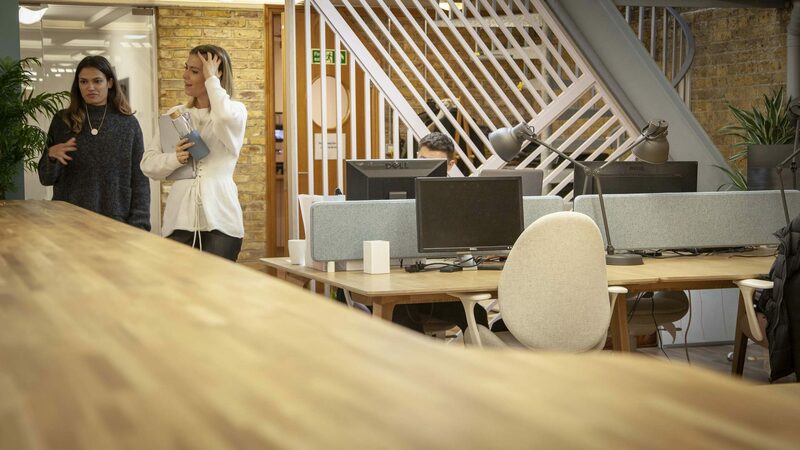 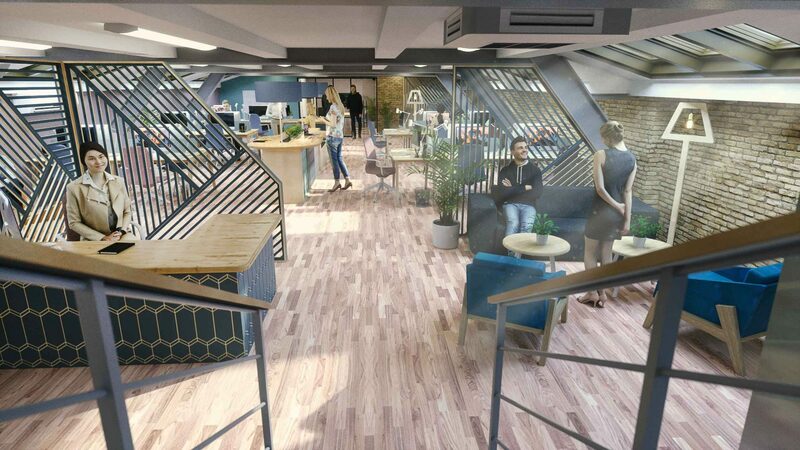 All of these different elements are brought together in a successful office design that improves the functionality of the overall space and increases the amount of storage, whilst still creating a light and airy place to work.